an argument that is not null or empty, and then try the command again. It turned out to be a permission issue with AzureRM.Resources CMDLETS not being able to talk to AAD specifically Get-AzureRmADUser that I was using for a variable. 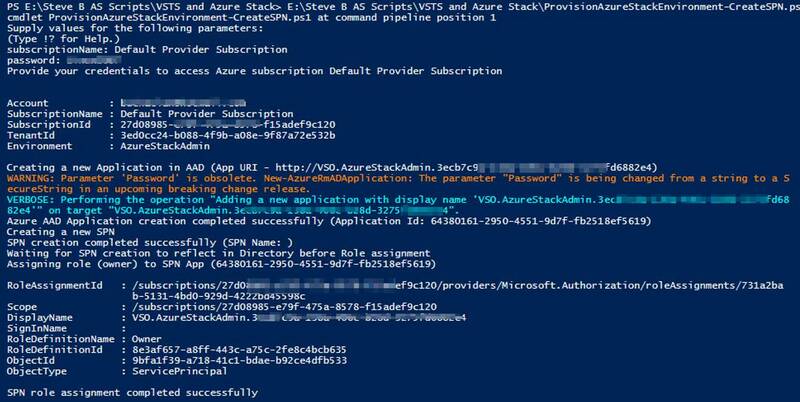 To give the permissions go to Azure Active Directory>the directory you are using in this automation>App registrations>and search based on the ApplicationID. Don’t forget to select All apps in the drop down. 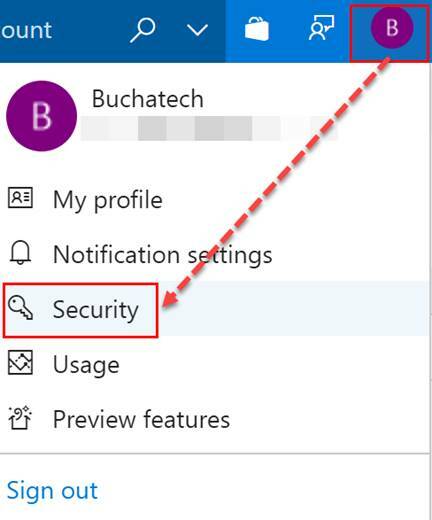 Click on Add first and add the AAD and then Microsoft Graph permissions. After you add the proper permissions make sure you click on Grant Permissions. The permissions are not actually applied until you do this. Once you click on Grant permissions you will see the prompt shown in the screenshot. Click Yes. Verify the permissions have been added properly. In AAD go to All applications>select All applications. Find your service principle application. Click on the service principle applications permissions. Verify the AAD and graph permissions are listed. If the AAD and graph permissions are listed then the runbook should be good to go. Working in the world of consulting I am often added to other Azure Active Directories that are managed by someone else. After a while these can pile up like in the following screenshot. Click on your name and select the directory you want to remove. Click on your name again and click on the cog for the settings. You should then see the option to “Leave the organization”. Click the link. You will see the following pop-up. Click on Leave. That’s it. You will no longer see the directory you just removed listed in the Azure portal under your directory list. Made the cut. Microsoft MVP for 7th year! Today was a very happy day for me and a sad day. It was a happy day because I once again have been renewed as a Microsoft MVP! It was sad because many MVP’s did not get renewed this go round and many of them are personal friends of mine. Shout out to all of you that did not get renewed. You folks are still community MVP’s. Keep doing all the great things you do and I will see you out in the tech community. Also congrats to all the new and renewed MVP’s! This July is extra special. In fact, this award cycle ranks up there with the very first time I was awarded. I rank this 7th award so high because it was not easy to stay an MVP with so many not being re-awarded. I am one of the lucky ones that made it back in. 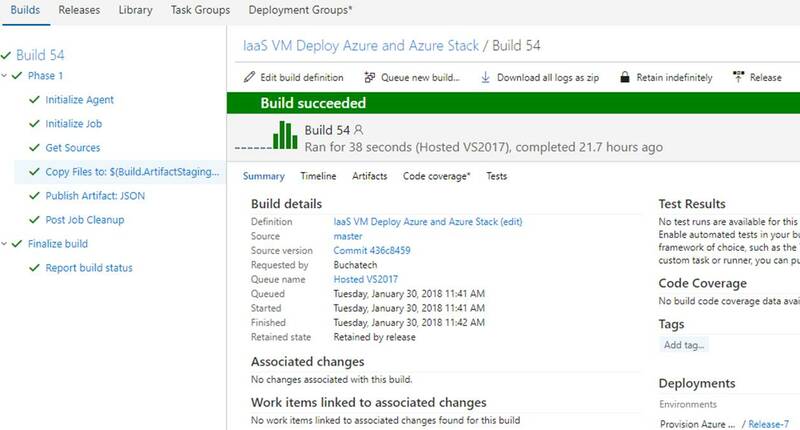 Last year I made a conscious decision to shift my focus completely to Azure, Azure Stack, DevOps, and CloudOps. I like to think this shift of focus helped me get back in during this humbling award cycle. Again this year I feel blessed to still be in the MVP program. I hope to continue to add value and remain an MVP. As always a huge thanks goes out to everyone in the community and Microsoft. Special thanks to Betsy Weber, David Armour, Joseph Chan, Ricardo Mendes, Tim Benjamin, Daniel Savage, and many other folks at Microsoft. I will continue to do all that I can in the Azure, Azure Stack, CloudOps/DevOps communities this year. For those that know me know that I have been a System Center expert for some time focused on helping organizations manage their IT along with their ITSM needs. I have been working with Azure since it was released off and on but started to get serious about Azure after Microsoft’s move to resource manager. And even more recently I have re-focused completely to Azure and DevOps along with ITSM in the context of the cloud. I consider this combination CloudOps. CloudOps is important when it comes to cloud and supporting DevOps. A part of CloudOps is cloud management. More specifically the tooling name for cloud management is often referred to as Cloud Management Platform (CMP). CMP’s can be a CloudOps architect and engineers best friend or worst nightmare. There are many CMP solutions out there in the market that can be used to manage Azure and other clouds as well. Microsoft has done a nice job building and bringing in native solutions that can be used to manage Azure. The following image depicts the areas of cloud management that are in focus for Microsoft. Check back on this post soon. As I create more blog posts in this series they will be linked on the list above. IT financial management (ITFM) is an important part of IT operations as business dependency on IT continues to grow in the age of digital transformation. ITFM is a part of ITIL as a Service Strategy element in the framework. ITFM is a key part of CloudOps as well because spending in the cloud is based on an OPEX model and every single cost is tracked. ITFM and cost management in the cloud should be used to effectively and concisely connect the dollars spent on IT to the value delivered to the business. We can do this with Azure Cost Management. In this post, I am going to give an overview of Azure cost management highlighting many of the things you can do with it. Let’s dive into the solution now. In June of 2017, Microsoft acquired Cloudyn a startup that had tooling for cloud monitoring and analytics tools focused on cloud financial management. Cloudyn’s solution is multi-cloud covering Azure, Azure Stack, AWS, and GCP. Through the acquisition of Cloudyn Microsoft was able to bring the tooling into the Azure ecosystem giving Azure customers an enhanced way to track and control cloud spend improving the improving the Azure cloud governance story. As of right now, there is a free level and a paid level for Azure cost management. The following table lists what features are available with each level. Since the acquisition, Microsoft has added a link to the Cloudyn portal directly in Azure and integration with your Azure subscriptions giving you the ability to launch a new Cloudyn account that is tied to your subscription. Microsoft added Cost Management in Azure and this is where you will find Cloudyn and sign up. As shown in the following screenshot you can see the “Go to Cost Management” button. After clicking on that you will go the Cloudyn portal and will be able to add your various cloud accounts. The thing that I really like about Azure cost management is that there is a ton of data and dashboards that are available right out of the box after adding a cloud account. There is not a bunch of configuration that you need to do to get the default dashboards and optimization tools. After you are all signed up and have your cloud accounts added your dashboards will start to show data. The next two screenshots show a couple of the default dashboards. The management dashboard gives a good summary of your cloud financials on one pane of glass. The cost controller dashboard shows cost trends, some forecasting info, a breakdown of costs and more. As you can see from the previous screenshots there are several other dashboards with other content. You can modify any of these dashboards adding or removing widgets. You also can create your own dashboard adding whatever widgets you want to it. In Azure cost management, you can add cost centers known as Cost Entities. Entities are intended to mirror your organization’s hierarchical structure such as business units, divisions, departments, or teams within your organization some examples are engineering, R&D, development, marketing etc. The goal of the entities is to give you a way to track cloud spend by the entities. Keep in mind the cost entities can be anything that fits the way you want to structure and track cloud costs. You also can leverage tags, add budgets, and then associate costs and or budgets to the cost entities into cost models. Cost models give you a way to distribute and allocate costs. You can track costs back to these cost entities and you can track costs against budgets for showback or chargeback scenarios. Below is a screenshot of the cost entities screen. 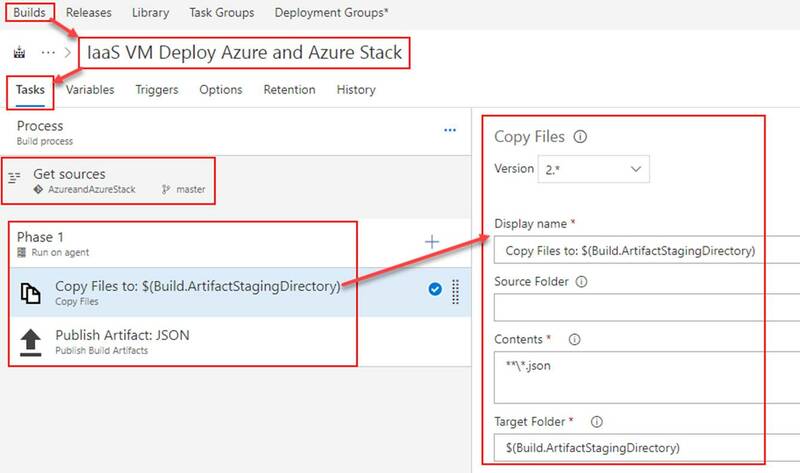 Keep an eye out for a detailed blog from me walking through how to structure and set up this part of Azure cost management. This area of Azure cost management warrants its own dedicated blog. Here is an example of a budget set on a cost entity. A key component of cloud governance in Azure is being able to apply policies across cloud resources. 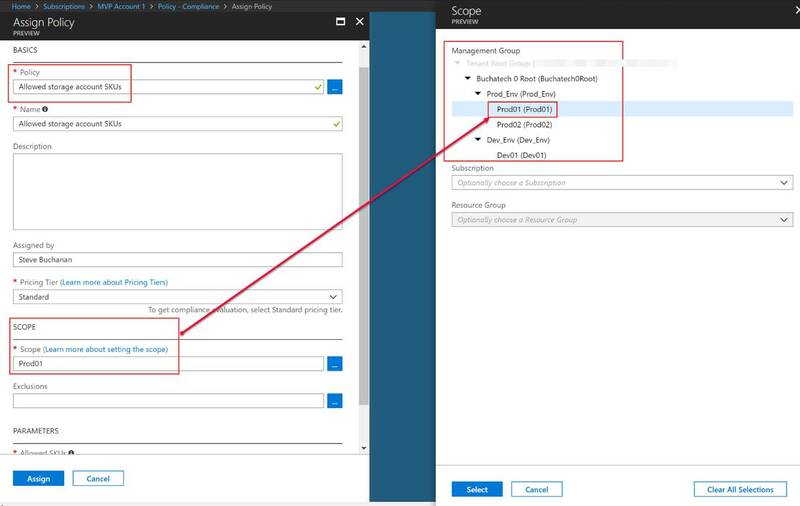 In Azure, there is a service called Azure Policy that can be used to define policies and enforce them across your cloud resources. 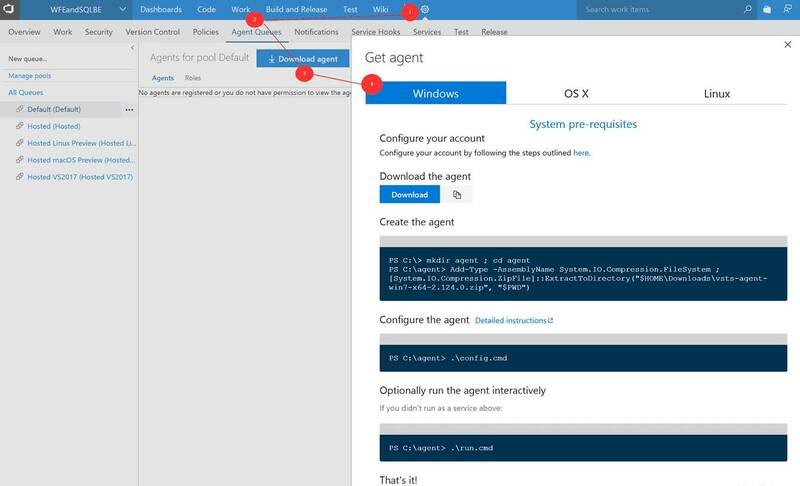 Azure Policy can be used to create, assign and, manage, and apply policy definitions. Azure Policy can be set to just evaluate when resources are out of compliance or remediate when resources are out of compliance. These two modes are known as audit effect and deny effect. 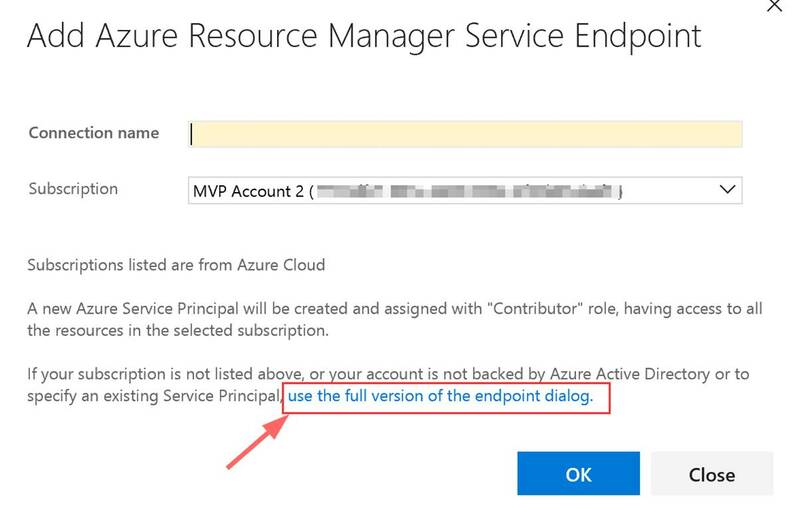 Azure policies can be applied to Management Groups, subscriptions, or resources. Azure Policy has been around for a while but recently it has revamped to make it enterprise ready. Azure Policy is in preview but it won’t be long before it will go GA and can be used to help manage your Azure. There is no pricing yet while Policy is in preview. Azure Policy is not RBAC. RBAC deals with user access and user actions such as what users can access what resources and what they can do with them. Azure Policy deals with existing resources and resource properties during the deployment of them. In Azure Policy you have something known as definitions. Definitions are essentially compliance rules that can be assigned to Azure resources. These definitions can just check to see if items are compliant or not and can enforce compliance. Definitions can be used to set conventions for resources, for example, all resources in a subscription should have a certain tag when created. Definitions are also used to evaluate something and take an action based on the result of the evaluation. A good example of this is that you could use a policy definition to evaluate if virtual machines are using managed disks or not. 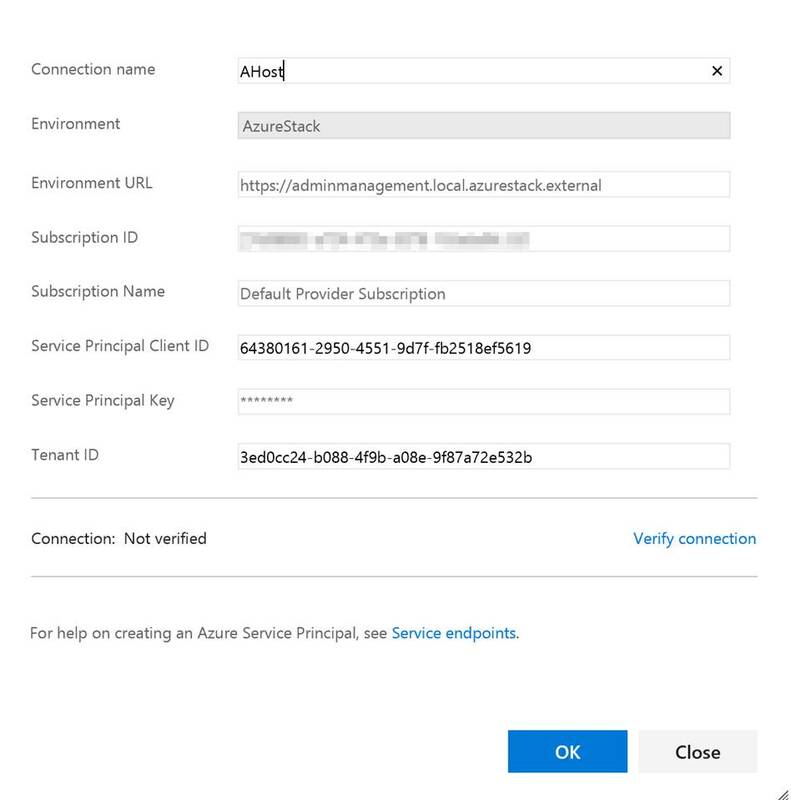 Azure Policies are used to help control costs and manage resources across your Azure subscriptions. There are two types of definitions called Policy and Initiative. A Policy definition is a single definition. An Initiative definition is a group of Policy definitions. Initiative definitions are used to help achieve larger compliance need. To gain a better understanding of Initiative definitions you can look at Security Center as it leverages Initiative definitions. Security Center has a built-in Initiative definition named [Preview]: Enable Monitoring in Azure Security Center. This built-in Initiative definition for Security Center contains 13 Policy definitions related to security as shown in the following screenshot. Microsoft has a mobile Azure mobile app for Android and IOS. At first I was skeptical about the need of a mobile app for cloud but I found myself actually using it a few times for various tasks that I did not want to log onto my computer to do. In this blog post I am going to give one example. Before I jump into the example let’s explore the app. First off you can load the app from Itunes or Google Play. You also can check it out here: https://azure.microsoft.com/en-us/features/azure-portal/mobile-app/ and here: https://play.google.com/store/apps/details?id=com.microsoft.azure&hl=en. 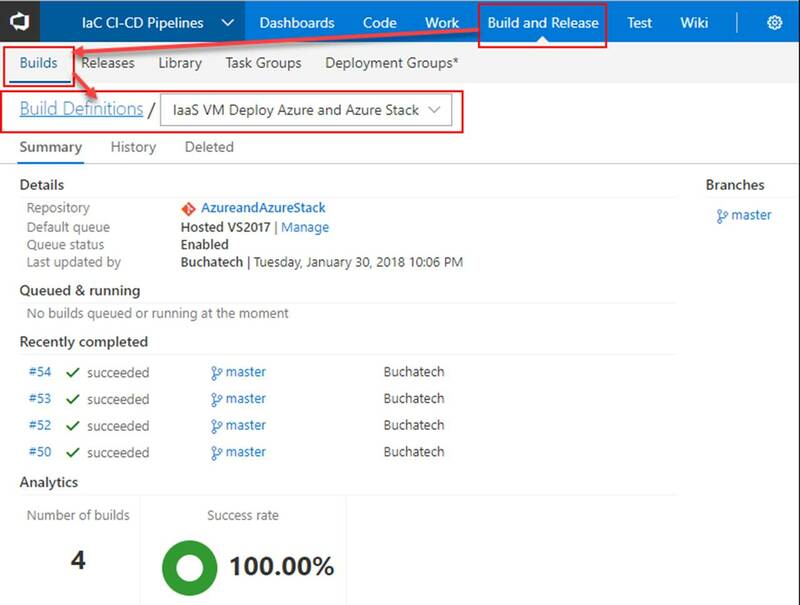 With the app in general you can see your Azure resources, their metrics, their health along with alerts, and diagnose and fix some issues through some actions you can perform on the resources via the mobile app. Some of the actions you can perform are Restart a web app or connect to a VM. 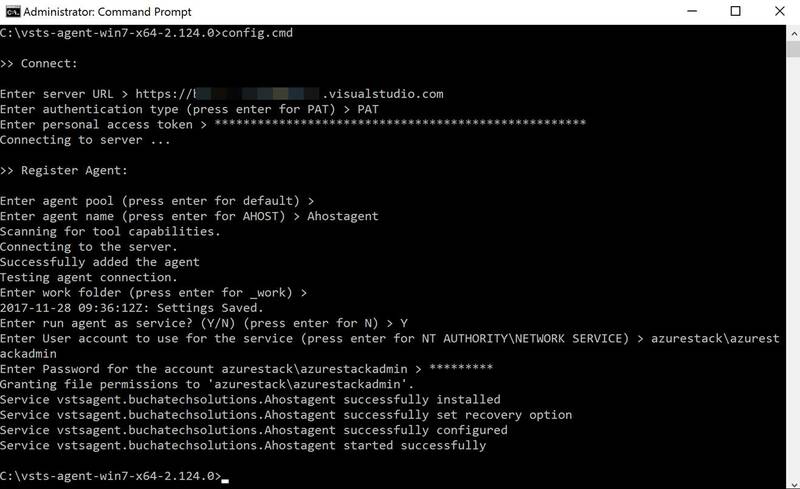 Something else you can do with the app is access the Azure cloud shell. It supports Bash and PowerShell. The following are some screenshots from the app. After the app launches for the first time you will be prompted to log into your subscription. Once you are logged in you will see all of your resources. You can actually click on the filter icon to scope down to a specific type of resources. The last screenshot here is of the Azure cloud shell in the mobile app. Now lets talk about one reason you may use the app. I host an Azure user group website on WordPress on Azure. I have an availability monitor in Application Insights monitoring the site. If the site goes down I get an email from Application Insights as shown in the following screenshot. I also get a notification in the UG board Slack channel by Logic Apps if the site is down. Well one day I got the notification from Slack on my phone. I was not at my computer and did not want to go to it just to see what was going on with the site. I checked and sure enough the site was down. Instead of logging onto my computer to troubleshoot I just used the app on my phone. Logging in I was able to see the site was up. After clicking on the web app I was able to quickly restart it. It was up after that and I did it all from my phone. I know restarting a web app is a basic thing. It saves time not having to log all the way into a computer to do this. I recommend trying out the mobile app. 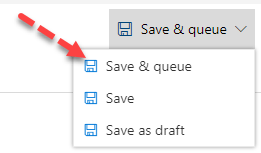 You never know when it might come in handy for a quick way to get info about one of your Azure resources and even help you troubleshoot something.